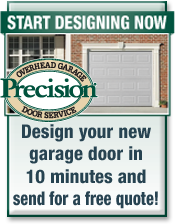 Same Day Garage Door Repair - Guaranteed! We will be out to repair your door the same day you call or we will waive the service fee. No questions asked. When we say same day we mean we'll be there the same day and fix it the same day. Precision Overhead Door has Professionally Trained Technicians with fully stocked trucks, which means we have the parts to get it done right the first time. 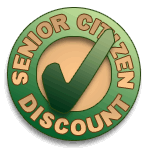 Don't be put on a waiting list or waste numerous days for a repair to be finished. Your time is important. We install and service virtually every brand and manufacturer of garage doors and openers. In the years we've been servicing overhead garage doors and operators for homeowners in the Lehigh Valley area, there isn't a single manufacturer or brand of residential garage doors that we have not been able to install or repair to our customer's satisfaction.